When it comes to optimising your web position, many people simply look to produce content and create links. While this is certainly a core component, it is isn’t enough. Any great SEO agency will know that many additional factors matter, including the user experience. Why is this so important? When you think about it, the user’s satisfaction is the ultimate goal. 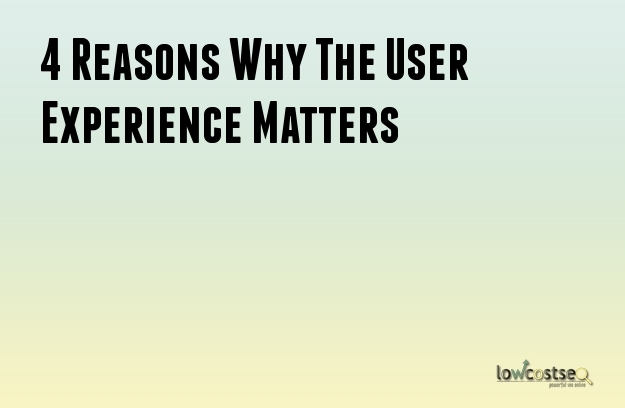 So, here are 5 reasons why the user experience is essential. In short, users want content that appeals to them. This is one of the areas where SEO merges with content marketing, and for good reason. If the content you’re putting out there isn’t making people stop and think, why are they going to click on the link? The click through rate (CTR) will drop significantly, vastly undermining the content’s potential. This actually highlights one of the biggest mistakes many people make with SEO. While you can focus on links, keyword analysis and other back office data, at the end of the day you are dealing with people. Never forget the importance of good visual appeal and a clear layout. Finally, even if you have great content that directs users straight to your website, if your own landing pages aren’t up to scratch, why should people stay? There have been many studies and examples, throughout the history of SEO, where companies have had a high amount of traffic and a terrible bounce rate. The reason? The external campaigns were great, but people were being sent to an underdeveloped landing page. While many people focus their website optimisation in terms if index files and tags, it still needs to look the part. First impressions count for a lot so, if people are simply clicking away, it’s a good sign the experience is lacking something. If something offers a good experience, people will share it. Sometimes this is via social media, sometimes this is just through private channels. What’s important is that a good experience can often generate its own links and traffic. This might not always be the case, but it certainly never happens with bad platforms. People like to share things they have enjoyed, or things that were otherwise useful. It’s not always just about getting a high position on Search Engine Results Pages (SERPs) – word of mouth and private recommendations still count for a lot. Return traffic is also important and, if people have a good experience, they are more likely to come back. This is best seen with social media. It’s no wonder big companies now have customer service on the likes of Twitter. Not only do people get real-time responses, it’s made public. Good experiences get shared and those one-time clients often get converted into loyal customers as a result. Many of these factors are not hard to implement, but it’s vital that you never forget the importance of a good interface or experience. When in doubt, put yourself in your customers shoes and ask why you would stick around or click a link?